Back in 2011 a small town in the Pacific North West state of Washington by the name of Morton played host to us for one night on a tour of the area. Nestled at the foot of Mt. St. Helens, it was your quintessential small town and not one designed to pamper to the needs of tourists. Two years later a striving singer-songwriter broke through the recording barrier with the release of her debut album. Coincidentally, it was revealed that Brandy Clark, the artist in question, also hailed from Morton giving added relevance to that specific travel memory. As the song writing and lyrical substance of Brandy unravelled over the course of two albums, the strong influence of small town America surfaced along with the hopes, fears, characters and a good ole dose of emphatic reality. The link between Morton, 12 STORIES and the subsequent ascension of an exceptional songwriter has now been further strengthened by the experience of Brandy bringing her live presence to the UK in an extended tour format. It was a honour that Birmingham’s Glee Club hosted the first night of Brandy’s inaugural UK tour and it evolved into the true country music follow up to her namesake Terri’s appearance on the same stage four years ago. The addition of Ben Glover for the supporting role sealed the deal of showcasing a top notch bill, with the Nashville-based Ulsterman returning to a venue where he opened for Mary Gauthier a couple of years back. Throw in Ben’s association with the much loved multi UK returnee Gretchen Peters and in the space of a few sentences a mini song writing hall of fame has sprung up. It is the art of beautifully conveying the meaning of words in the wondrous habitat of a sweet melody that places Brandy Clark at the forefront of country music song writing, in particular the cluster courted by the mainstream. However you get the impression that Brandy would flourish in any setting and the reality is that her recently acquired status of a signed artist is a stroke of mere good fortune among a lifelong passion of seeking the ultimate song. For seventy five minutes, a packed out venue was elevated into a superior state of song writing bliss as the true wealth of Brandy’s immense talent thrived in the acoustic model. Understandably 2016’s BIG DAY IN A SMALL TOWN edged 2013’s 12 STORIES eight to five in the set list composition, yet the strength and calibre of the choices were comparable. Stark differences in the production backdrop of both albums has prompted much debate, but that line of thought was rendered obsolete with Brandy stripping back each song to a bare equilibrium. The bold vocal style coupled with the contrasting guitar styles of Brandy and her lead companion Miles Aubrey was all that was needed to parade the majesty of each song. There was no introduction necessary that you were attending a country music concert when Brandy strode onto the stage and launched straight into ‘Drinkin’, Smokin’, Cheatin’. You were also left in no doubt of Brandy’s enormous capacity to move – cue – ‘Three Kids No Husband’ and the penultimate number, ‘Since You’ve Gone to Heaven’. Brandy did show a glimpse of optimistic wry with the closer ‘Pray to Jesus’ and if you want one song raising its profile in a live setting then ‘Hold My Hand’ was the one. In fact listening to the song live and several recent spins of its album home – 12 STORIES - has spawned random thoughts of its likeness to Allison Moorer at her sincerest best. Tonight amongst several other insightful moments, this song was remembered for its Grammy collaboration with Dwight Yoakam. How these songs would play out in full band mode seemed a distant thought during this show with perhaps just a slight vision of fiddle and steel illuminating proceedings. The biggest adjustment in the set was the latest album’s lead single ‘Girl Next Door’ being considerably eased down, yet vigorously flying the flag for lyrical brilliance in the line ‘some Virgin Mary metaphor’. On four occasions Brandy ventured outside her two albums. Two were obviously for the loaned out smash hit singles – ‘Mama’s Broken Heart’ and ‘Better Dig Two’. The solitary cover was reserved for one from George Strait’s back catalogue in ‘The Chair’, with the indication that a different cover will be reserved for the four dates on this tour. The final non-album song was one yet to acquire a recording status, exploring the age old vice of drinking and 100% Brandy Clark. 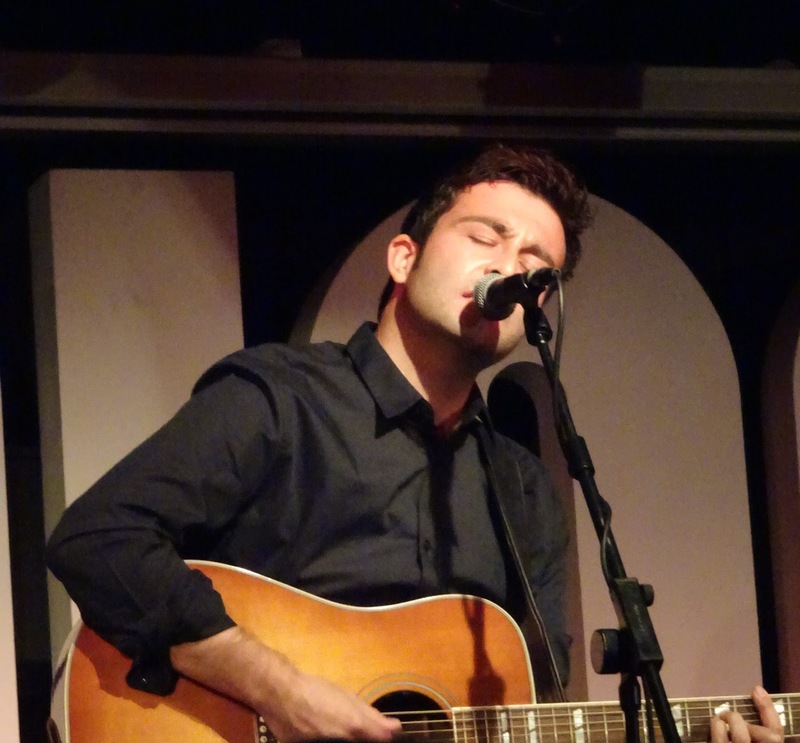 On a night celebrating the art of song, there was no finer opening choice than Ben Glover, who gained many new fans with his peerless selection of serious material. The range of Ben’s recent recording career was explored during his set from the award winning Gretchen Peters co-write ‘Blackbirds’, through his haunted masterpiece under The Orphan Brigade moniker with the ghostly sensual ‘ Oh Harriett’ and landing with a smart sample from his brand new record THE EMIGRANT. Whether honing in on the sounds of Americana, roots, blues or his Celtic heritage, the songs of Ben Glover are rich in texture. The vocal style may have been in contrast to the unabated country sound of Brandy but this opening set met its remit from all angles – a warmed up appreciative crowd and a few interval album sales in the bag. 12 STORIES is, and will remain, a modern classic and a blueprint to how an independent release can shape the cultured song. It heralded a golden period of records springing out of the Slate Creek Record label alongside The Bros. Landreth and Angaleena Presley. Whatever Brandy Clark goes on to achieve in her career, it will always have the significance of the pivotal launching pad from industry writer to influential performer. This evening was all about completing the unbroken circle that inadvertently started in Morton five years ago and ended phase one in Birmingham UK. 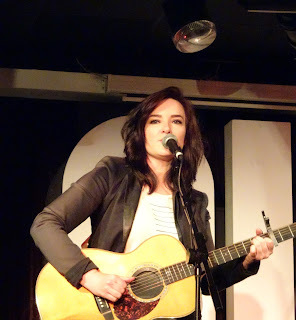 The future of Brandy Clark is one of exciting and unlimited potential securely based on the evidence that hoisted this show into the premium set of 2016 gigs.